A facial is not only relaxing, it's benefits go beyond feeling good. The skin is our only defence against, cold, heat, free radicals, pollution. We wear it all the time, so we have to look after it. The skin is a major organ and it needs us to protect it. Facials are individual to your primary concerns, whether it is a skin concern or for pure relaxation. Your skin therapist will go through a consultation with you prior to all facial treatments and will prescribe the treatment and products best suited to you. We are all highly trained in skin treatments and as such take our work seriously. We maintain advanced training skills and are the highest qualified beauty therapist clinic in Maryborough. Acne treatments available. We plan an individual treatment prescribed just for you. Ask us about how we can help you achieve results! Deep cleanse, brush, steam, mask, moisturise. Skin Types = All skin types. Cleanse, Microdermabrasion, cool gel, moisturise, sunblock. Deep cleanse, brush, steam, massage, mask, ampoules, moisturise. Skin Type = All skin types. Revive and re-balance with intense serums and a relaxing facial massage. Microdermabrasion, serums infused with isoderm. Improves texture and leaves the skin with an instant healthy glow. 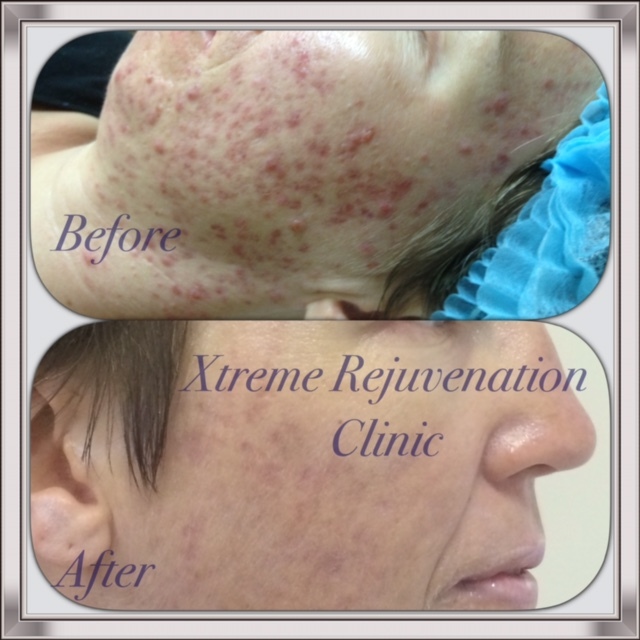 Facial with Diamond Microdermabrasion, enzyme peel and isoderm RF lifting treatment. Facial with infusion of collagen, isoderm serum infusion with facial toning, plus face, neck and shoulders massage and eye treatment. BRING A FRIEND! Two facials can be done at the same time, together .... in the same room! Contact us for more information!